Michael Corum is America�s leading author of books for federal supervisors, managers, and HR specialists, and is an authority on dealing with all types of supervisory problems with federal employees. He also conducts seminars for supervisors on all HR management and EEO topics. 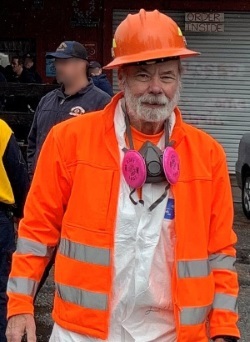 In his spare time, he's a member of the El Dorado County Sheriff�s Off Road Vehicle Search and Rescue Team (picture from the search and recovery of remains of victims of the Camp Wildfire in Paradise, California in 2018. If you have any questions or comments about this book or others, or just want to vent, contact him any time at m.corum[at]comcast.net. Save 40% on both The First Four Weeks and Guide to Ethics, Rules, and Responsibilities.